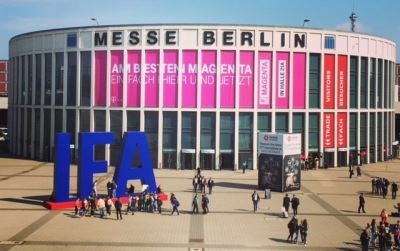 From creative and innovative start-ups to true showcases from well-known companies such as Samsung, LG and Siemens: for Rompa, the first week of September was all about IFA in Berlin, the largest consumer electronics trade show in Europe. 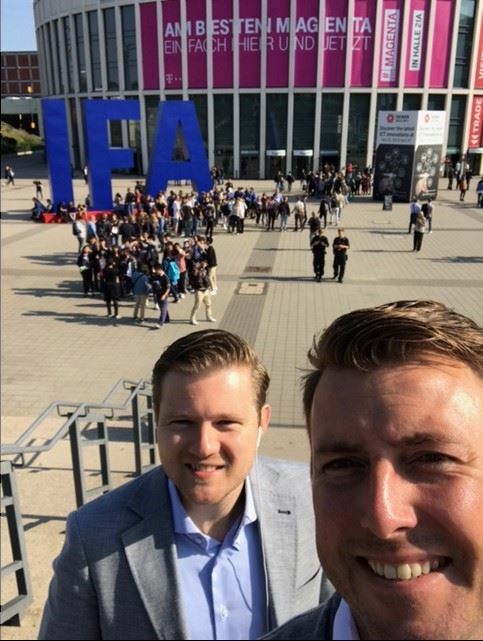 Sales managers Martijn Jansen and Peter Dielissen attended the trade show. 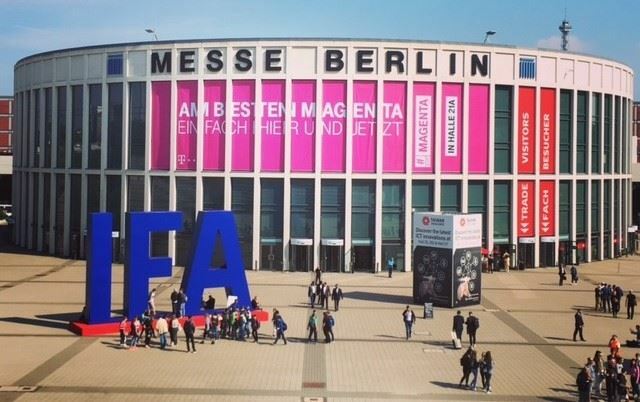 Their most important conclusion is that smart consumer electronics are ‘the new normal’. 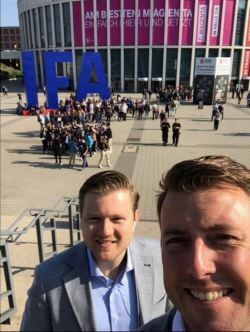 At IFA, our sales managers also discovered that voice-controlled speakers play an ever-growing role in the operation of consumer electronics. Think of Amazon’s Alexa and Google Home, for example. You can connect all smart devices in your home to these speakers. You can then ask it to dim your lights, play your favourite show on your TV, wash a load of laundry or read out your favourite pasta recipe to you. Rompa responds proactively to this shift towards connected products. Peter describes: “We are rapidly gaining experience in this relatively new industry. We have, for example, already released our Gilette razor stand with order button. You can order new razor blades from the comfort of your own bathroom with a single press of a button.” Rompa has multiple ongoing projects that focus on connectivity via Sigfox, M2M, Wi-Fi and BLE. With our brand-new SMT line, we are able to make our products connected.